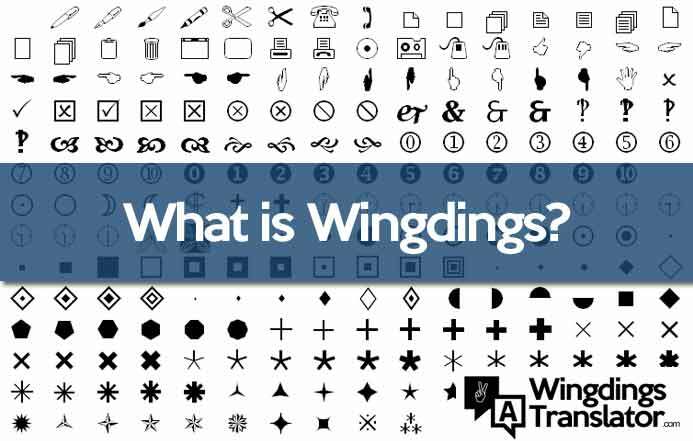 What is Wingdings? Think about the last time you communicated by Facebook Messenger or WhatsApp. Perhaps you used the heart emoji to show your affection or the winking face as the punchline in a funny sentence. Or, if no one was watching, maybe you took a selfie making a funny face to send it to your partner. Now imagine how this same conversation would be like in the early 90s. With limited resources, even finding a picture to accompany the text of a page was very complicated. At times like this, fonts like Wingdings were very useful. Wingdings is a typeface of the dingbat typographic family which renders a variety of symbols. They were originally developed in 1990 by Microsoft, by combining different types of characters: Lucida icons, arrows, and licensed stars of Charles Bigelow and Kris Holmes. Nowadays it is very easy to take a picture from the Internet and paste it into a document, but this used to be much more complicated. During the 90s there were few ways to obtain graphics, which were too heavy for hard drives and had an awful resolution anyway. Fonts such as Wingdings gave users scalable images that did not occupy too much of that valuable disk space. Wingdings was the idea of two designers: Charles Bigelow and Kris Holmes, also responsible for the popular font Lucida. 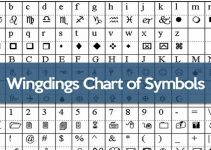 Gestures, objects, arrows and various other symbols that Wingdings offered could now be used to decorate, embellish or supplement documents. As for writing readable sentences, it failed miserably, unless you had a Windings translator. With Lucida, Charles and Kris were put at the forefront of digital typefaces. But they also wanted special characters that fit along with the letters, so in 1990, they came up with these symbols. The first series were Lucida Icons, Lucida Arrows and Lucida Stars, three fonts that later became Wingdings, created with the intention to bring harmony to text in similar proportions to those offered by Lucida. This big variety made the font very popular, so it was acquired by Microsoft in 1990. Bill Gate’s company took over the rights of Lucida Icons, Lucida Arrows and Lucida Stars and combined them into a single font which they called “Wingdings“, that was included in a beta version of their operative system that same year. Storage space limited the number of characters that they could include in each version, but they were still willing to include as many fonts as possible in the launch floppy disk. Despite these limitations, a cultural phenomenon was started. Microsoft devised the name “Wingdings” as a combination between an old term used in print, “dingbat” (a typographical symbol or ornament) and “Windows“. This new name suggested wildness and excitement, said Bigelow. 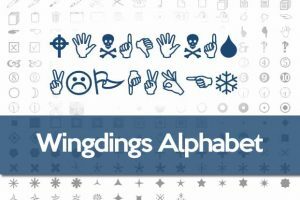 From the beginning, Wingdings was a success, much of which was due to its inclusion in the Microsoft ecosystem. 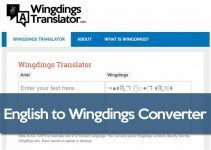 As often it happens in our days, at that time Wingdings was misunderstood. Although its intention was to function separately, only to add a touch of creativity, some users interpreted it as a font meant to write words and sentences. This carried certain contingencies. “Wingdings unleashed a furor much bigger than Microsoft expected,” says Bigelow. 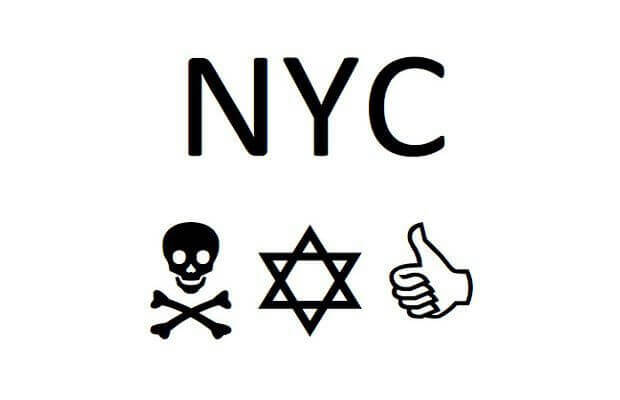 “Some conspiracy theories appeared, pointing to Wingdings as a source of subliminal messages.” The most famous of these theories states that Wingdings is loaded with anti-Semitic messages against New York City (when writing “NYC” a symbol of a skull, the Star of David and a thumbs up appears). Of course, Bigelow says that such “hidden messages” are merely coincidences in the process of converting the font – Microsoft never considered that users would read the stack of character as a real code of letters. 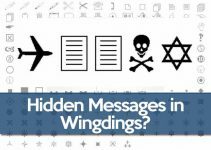 Ironically, these terrible conspiracy theories showed the great success that Wingdings had achieved. Wingdings had a long-lasting impact on our culture. Starting from there, it was adapted with new icons and additional images, morphed into other fonts such as Webdings (which had the help of the designer of Comic Sans, Vincent Connare) and gave rise to many new things. Charles Bigelow’s favorite characters in Wingdings are the floral elements that were partially inspired by the plants that Holmes had in his garden, during the summer when they designed the fonts Others were inspired by Renaissance prints, English roses and other types of foliage. 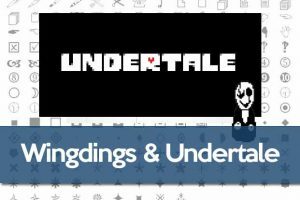 So, what is a dingbat? 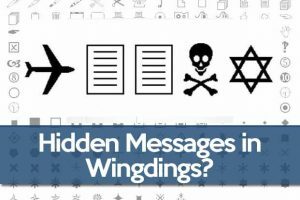 Printing Press – What is Wingdings? 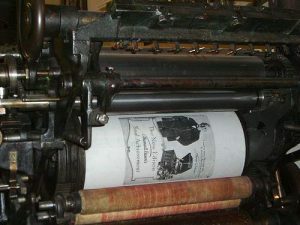 When working with printing presses, the printers required a prefabricated pattern in order to ornament texts. Each figure or letter had to be carved by hand and added before it could go into the print, so it was very laborious making a new template for each drawing or figure. The dingbats were tiny pieces in a variety of reusable shapes that could fit in the text and used as ornaments in the book. The history of font characters dates back to long before the dingbat. Bigelow, who taught, among other courses, Concepts of Text at Stanford University, says this goes much further in the past. After all, he says, it is possible to trace the letter “A” in the shape of an ox head to 3,500 years ago. That old use of images has been extended to our era. “The Emojis are like dingbats in the sense that they represent typographical symbols” says Bigelow. “But they also go back to an old concept of pictographic writing from which evolved the Chinese and kanji characters”. Chinese and Japanese writing comes from the images and, as happens today with the emoji they are ways to express our ideas and ourselves. The future of fonts such as Wingdings, which occupies a space between image and text, is impossible to predict.